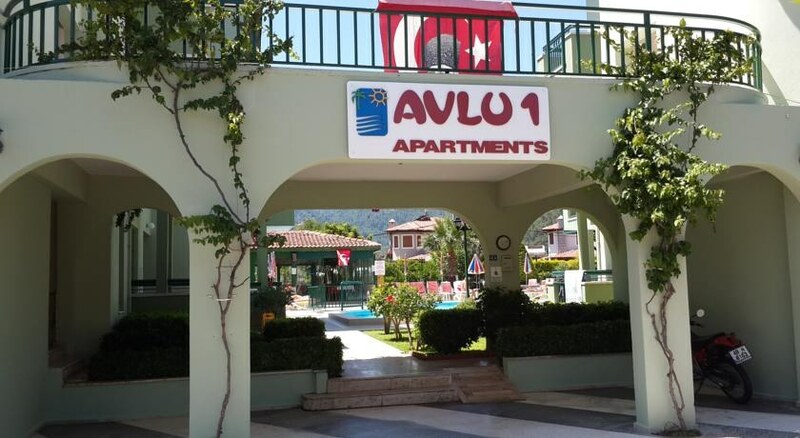 The Avlu 1 Apartments rests within walking distance to the renowned Icmeler Bazaar in the popular summer resort of Marmaris on the coast of Turkey. Resting just 450 m from the beach, this is a great hotel for couples and families with a wide range of shops and restaurants nearby and 29 attractive apartment rooms surrounded by lovely gardens, a restaurant for all-day dining, refreshing swimming pool, and excellent service. Guests to the Avlu 1 Apartments can discover marvellous beaches, visit a number of cultural and historical attractions, and experience real Turkish hospitality. 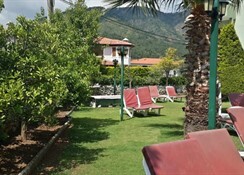 Airport Distance: Dalaman Airport is 90 km from the Avlu 1 Apartments. Local tips: Marmaris has a modern marina graced with chic shops and eateries and a bustling bazaar. At night, the town positively bubbles over with activity, especially on the aptly-named Bar Street. Please note: Rates and conditions are valid for UK residents only. Dining: Self-Catering accommodation. The Avlu 1 Apartments has a main restaurant providing a rich menu for all-day dining. 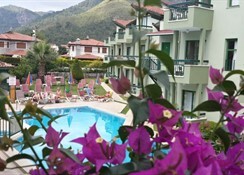 Activities: Swimming pool, children pool, cushioned-lounge chairs and umbrellas by the swimming pool. Additional: Reception, rooms are equipped with smoke detectors, and there are fire alarm and fire extinguishing systems in the halls, house-keeping service is provided every day, and the linens as well as the towels are changed twice a week. The Avlu 1 Apartments features a total of 29 apartment rooms with some designed as studios, suitably for the accommodation of the couples, while the others are as one-bedroom apartments, appropriate for the accommodation of four people. 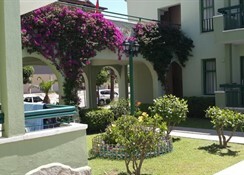 All of the rooms have an open-plan kitchen, necessary kitchen furniture and devices, and a balcony. Guests can benefit from telephone, air conditioner, baby beds and cash box services by paying extra charges.